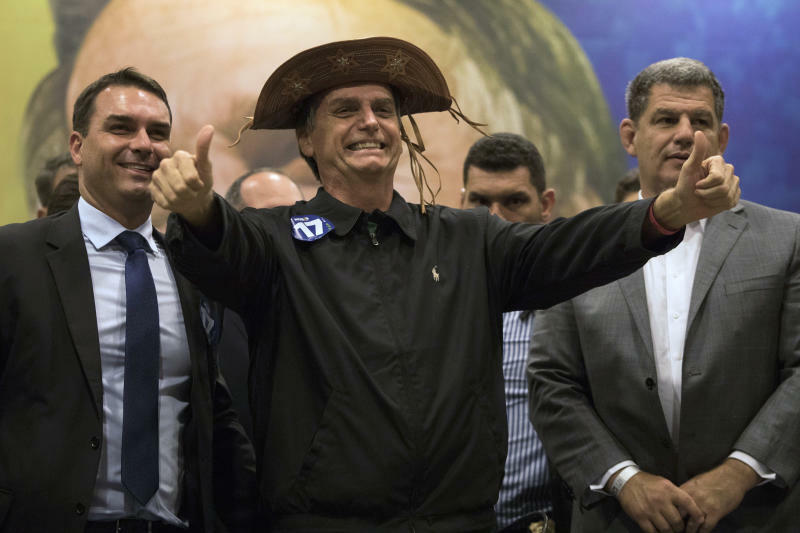 Far-right congressman Jair Bolsonaro, who is leading the polls, has described a Brazil at war: with criminals, with corrupt politicians, with left-wing ideas and, in some ways, with itself. The former army captain's official platform promises a "decent government, different from everything that landed us in an ethical, moral and fiscal crisis." 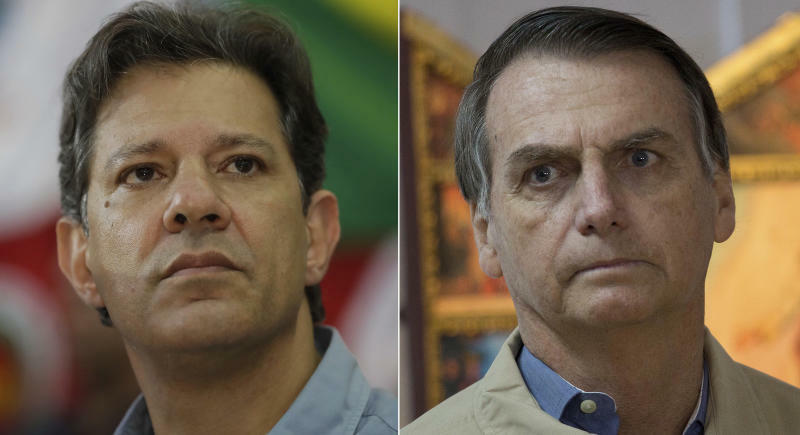 Meanwhile, his rival, Fernando Haddad, is seen by many as a stand-in for his mentor and the founder of the Workers' Party, former President Luiz Inacio Lula da Silva. Once wildly popular, da Silva was barred from running after a corruption conviction. He's now serving a prison sentence. Haddad is his hand-picked successor, and the former mayor and education minister has strained to distinguish himself as his own man. CRIME: The centerpiece of Bolsonaro's campaign has been his promise to reduce Brazil's high crime rate. Latin America's largest country is the world leader in total number of homicides. Last year, a record 63,880 people were slain. Many Brazilians live in daily fear of muggings and burglaries. ECONOMY: By his own admission, Bolsonaro doesn't know much about economics, but his choice of an economist who studied at the University of Chicago as an adviser won over much of Brazil's business community. He has promised to cut the size of the government, including slashing the number of ministries, and to pursue pension reform that will likely cut at least some benefits. He also wants to privatize many state companies. But since Bolsonaro is a recent convert to liberal economic theory, some observers wonder how long and how closely he will hew to these principles. AUTHORITARIANISM: Bolsonaro has lavished praise on Brazil's 1964-1985 dictatorship and has held up that period as a simpler, safer time. Many people, especially dissidents who fought that regime, have chafed at the characterization, noting that the military government tortured thousands and killed hundreds of Brazilians. 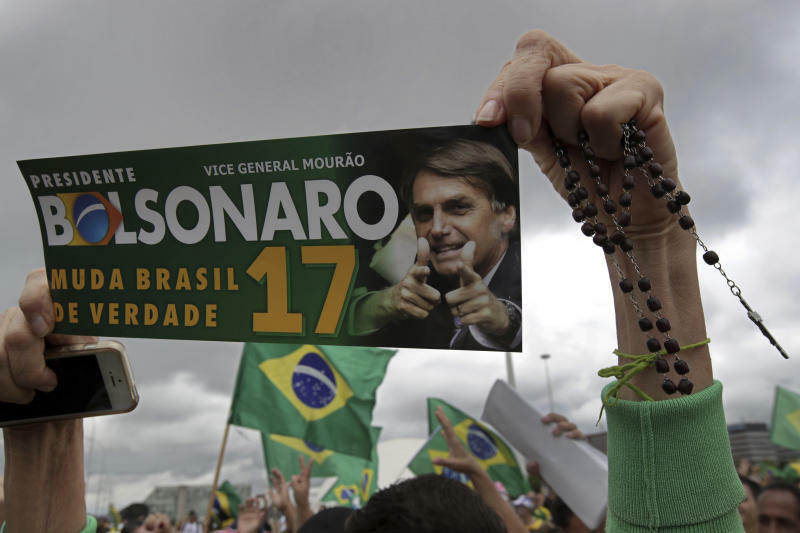 Coupled with his promises to give police "carte blanche" to shoot suspects and his derogatory comments about many minority groups, some fear a Bolsonaro presidency could see a rollback of civil rights and a weakening of democratic institutions. Bolsonaro has dismissed those fears. ECONOMY: Haddad has put the suffering of Brazilians during a protracted recession at the center of his campaign, blaming much of the downturn on President Michel Temer's reforms, even though the economy began to tank while the previous Workers' Party president was still in power. Much of his platform centers on reversing what Temer has done, including removing a government spending cap and scrapping a law that made labor rules more flexible and reduced benefits. He also wants to freeze a privatization plan and has vowed to create jobs, increase public investment, make access to credit cheaper and make the tax code more progressive. DEMOCRACY: Haddad accuses Temer's government of trampling the rights of workers, women, blacks, indigenous people and other marginalized groups and has said that a Bolsonaro presidency would only worsen this rollback. He warns of a Brazil run by hate and intolerance and has pitched himself as the only candidate who can save democracy. While some of Haddad's former rivals from the first round of voting have rallied around this idea, many have decided to stay on the sidelines. He has thus far failed to turn it into a broad rallying cry.